The Greek term “angelos” means a messenger, one who is sent. Jesus spoke to John on the island of Patmos about an angel in each of the seven churches in Asia. He wrote a letter to each one of these churches (see Revelation 1-3). The assignment given to the angel of the church in each of these seven cities was to see that each member of the Christian community (the church) in his city received the message from the Lord. Knowing it would be difficult (or impossible) to get all His church together at one time and place in any given city, the Lord told John to send out seven letters into the care of trusted messengers called “angels.” These seven cities were Ephesus, Smyrna, Pergamum, Thyatira, Sardis, Philadelphia and Loadicea. They could not just call everybody together at the church house, because there were not any! It is a matter of historical significance that the church, “the called-out ones,” in the first three centuries customarily assembled in homes of its members. Another letter was addressed to “all the saints” (Christians) in the city of Rome, though they regularly worshiped in at least half a dozen houses (cf Rom 16). 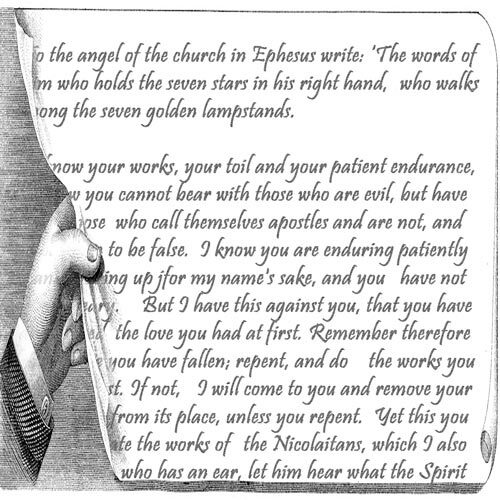 Have you ever wondered who received such a letter, accepting the responsibility to see to it that all in the church there could read it? At Troas, the disciples met (Acts 20:4-12) to hear Paul and to observe the Lord’s Supper … evidently notified by an angel! Paper Pulpit book 392 sermons, $10 ppd.